As much as I’d love to retire to a yacht to spend the rest of my days in a gold lame bikini, only to be served the finest of seafood by young, exotic men in banana hammocks, I can’t. So, I work and the good thing is, I really love what I do. Parties, any kind, I love them all. I create and tailor menus just for you according to occasion, location, season and food preferences. I specialize in food and booze pairings. I style food for print publication, commercial advertising, tv/film and web content. Video, TV and web personality. I create recipes for magazines, cookbooks, television, and web content. Food and booze menus for bars, restaurants and cafes, private institutions and individuals. These are low-key, fun classes where you kick back, crack open a beer, get your hands dirty and learn a thing or two. 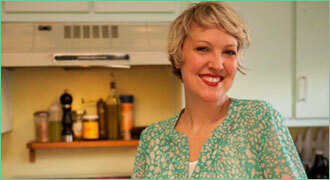 I will show you how to make a 3-course meal that you and your guests cook and eat family style. Great for Bachelor/Bachelorette Parties (I don’t jump out of cakes but fully endorse it, especially if said cake is in the shape of a cheeseburger), Bridal and Baby Showers, Birthday or Holiday Parties. All classes are 3-4 hours, finish with a toast and the most delicious meal ever, because YOU made it! For further details, pricing and rates, email me at louise@worldofweezy.com.